Named for a rare flightless New Zealand parrot, the Kakapo was a 665 ton, schooner rigged steel steamship, built in Grangemouth, Scotland in 1898. 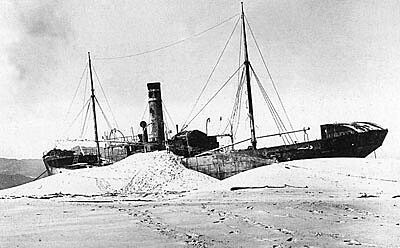 In early 1900 she was sold to the Union Steam Ship Company of New Zealand. 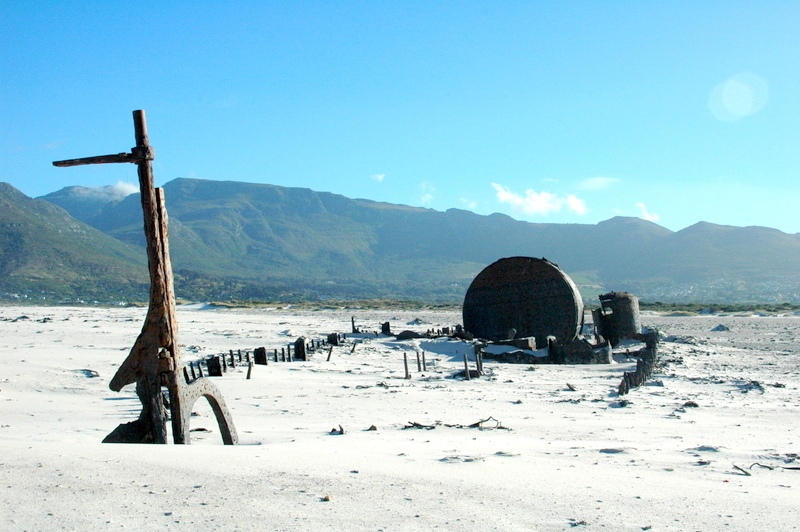 On 25th May 1900 the Kapapo steamed into Cape Town harbor to refuel with coal. Coaling (it’s a verb, you can look it up) was completed the same afternoon, allowing her Danish captain, Niels Nicolayson, to continue the voyage to Australia with little delay. The Kakapo appears to have been his first command. It was, of course, a dark and stormy night, and a strong north-westerly wind was whipping the waves into a fury and sending spray over the decks. Driving rain dashed into the sailors’ eyes making visibility poor and with no lighthouse along the Noordhoek stretch of coast, the darkness nearly complete. One mountain looks rather like another in these conditions, but mistaking Chapman’s Peak for Cape Point was no doubt the biggest mistake of Captain Nicholayson’s life. Thinking he had rounded the point, the Danish captain turned his ship to port (that’s left to you land lubbers), and headed straight for Noordhoek Beach! It must have come as a terrible surprise when, with the help of a strong tail wind and furnaces at full steam ahead (9.5 knots or ~ 11mph), he hit the beach and wedged the Kakapo high and dry onto the soft sand. At dawn, all twenty crewmen were able to disembark without even getting their feet wet. However, Captain Nicolayson (did I mention he was Danish?) was so embarrassed at having beached this brand new steamship on its maiden voyage that he chose to remain onboard the ship and refused to show himself as sightseers and reporters arrived on the scene. The only communication with him was by means of messages stuck in bottles, which he hauled aboard by rope. He is rumored to have remained alone onboard for 3 years as smoke was seen rising from the wreck’s stack. 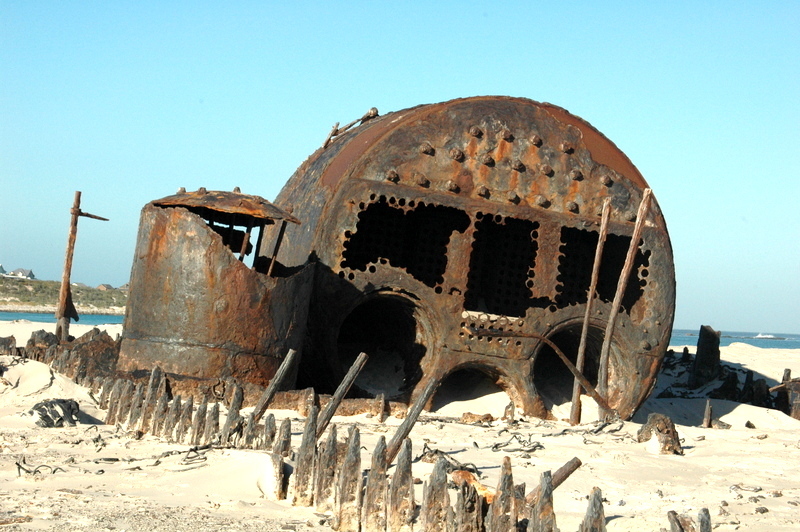 More than 100 years later, the Kakapo wreck remains exactly where it was beached, and the ship’s ribs and rusted boiler still make a bizarre sight parked in the middle of the beach, a few kilometers from our place in Kommetjie. A couple was looking through their new home with Ole their Norwegian contractor, picking out wall colors for the various rooms. They went into the living room first, said they’d like to have it in a pale green. They went on into the kitchen, where the couple chose a light clay color for the room. This continued from room to room, upstairs and downstairs – all through the house until they were finished. Finally, the husband couldn’t contain himself any longer, he had to find out what was going on. “Every room we’ve gone to, we’ve picked out a particular room color, you’ve written on a pad, then gone to the window and yelled, “Grøn sida oop! This entry was posted in Featured, Kevin's Korner, Travel and tagged Cape Town by Kevin P. Bookmark the permalink.